Sometimes, all you need is a good massage to get a fresh perspective on life! Without even realising, we subject our bodies to huge amounts of stress which leads to mental tiredness and physical fatigue. Break free from the tired-in-tired-out cycle by indulging in a pampering spa treatment and a good choice of a spa for the same would be Silk Spa. 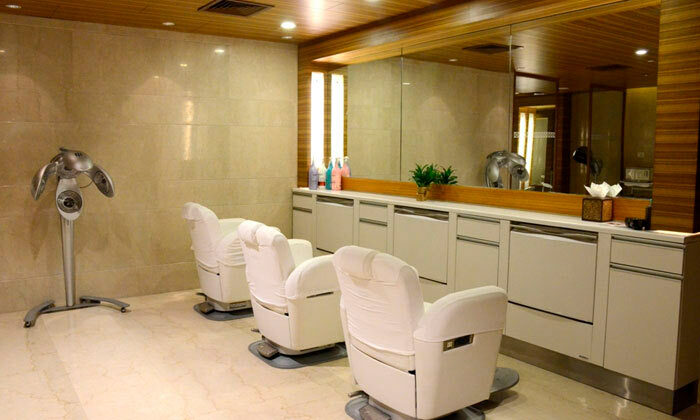 Located at The Lalit Great Eastern, Kolkata, Rejuve - The Spa offers a range of refreshing, recharging and therapeutic massages that'll help you get rid of the body-lag you've been experiencing. The spa's serene ambience helps you relax while you enjoy the magic that the skilled therapists work on you, leaving you feeling thoroughly rejuvenated and renewed.